For today’s deals roundup, we have found some interesting deals on headphones on Amazon. The products we have listed down are from brands like JBL, Soundmagic, Sony and more. Are you on the lookout for a good pair of headphones that can give a boost to your music? If yes, then you've come to the right place. 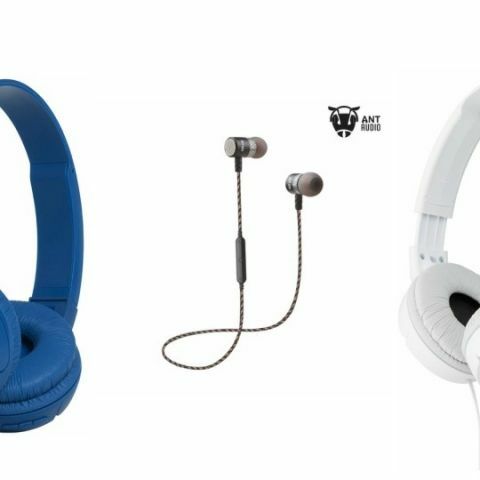 The deals we have in the list include in-ear headphones, on-ear headset, and even wireless Bluetooth headphones. The Sony MDR-ZX110A is an on-ear wired headphone, which features a 30mm dynamic drivers. The headphone comes with a swivel ear cup design that enables easy storage. Click here to buy. The JBL T450BT is a wireless on-ear headset features a swivel ear cup design that lets you fold the earcups for easy storage. The device is Bluetooth 4.0 enabled and offers a battery life of 11 hours. For managing audio tracks and calls, the controls are placed on the earcup. Click here to buy. The Sony MDR-XB55AP In-Ear Headphones features an in-line microphone and remote that lets you pick up calls and manage audio tracks easily. The headphone sports a tangle-free cord that won’t let the wires get tangled up. The headphone features 12mm neodymium drivers and weighs around 81.6g. Click here to buy. The Soundmagic ES18S is an in-ear headphone that comes with a microphone and an in-line remote to control calls and audio tracks. It features a 10mm neodymium drivers and weighs around 9.1g. Click here to buy. The Ant Audio H25R is an in-ear waterproof Bluetooth earphone, which features an IPX5 rating. The device comes with Bluetooth 4.1 connectivity and as per the company, has a battery life of 12 hours. It also has a magnetic latch, which let the earbuds attach to each other when not in use, Click here to buy. The Sony MDR-EX255AP In-Ear Headphones feature an in-line microphone and remote that lets you pick up calls and manage tracks. The device has a frequency range of between 5Hz-25KHz and weighs around 49.9g. Click here to buy. The Ant Audio H21 Bluetooth Headset is compatible with smartphones, tablets, DVD players and more. The headphone features Bluetooth 4.1 connectivity and offers a battery life of up to six hours. It also comes with a magnetic latch, which let the earbuds attach to each other. Click here to buy.